The name game began online after Israeli Prime Minister Netanyahu announced that he would suggest naming a new community in the Golan Heights after US President Donald Trump to his ministers. Tensions over the Golan Heights, seized by Israel from Syria following the 1967 Six-Day War, took a new turn after the United States recognised Israeli sovereignty over the disputed region last month. 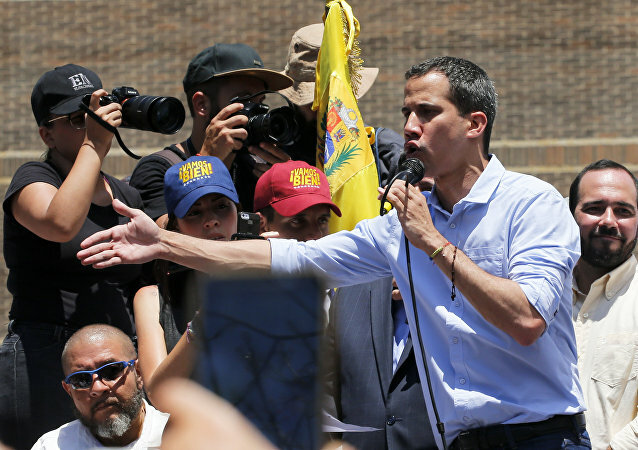 The Venezuelan Foreign Ministry said in a press release on Tuesday that Caracas will consider “null” any decision taken by Tarre, whom the ministry described as a “loud-mouth political usurper”. The Trump administration previously promised to present the Mideast peace plan, dubbed the Deal of the Century, after the Israeli election, slated for 9 April. Trump's Golan Heights declaration has prompted growing concerns among the regional players. Speaking to Sputnik, Turkish scholars and Iraqi Kurdistan politicians explained that the US Golan decision may affect Turkey, Iran and Iraq and translate into nothing short of a large-scale conflict in the region. 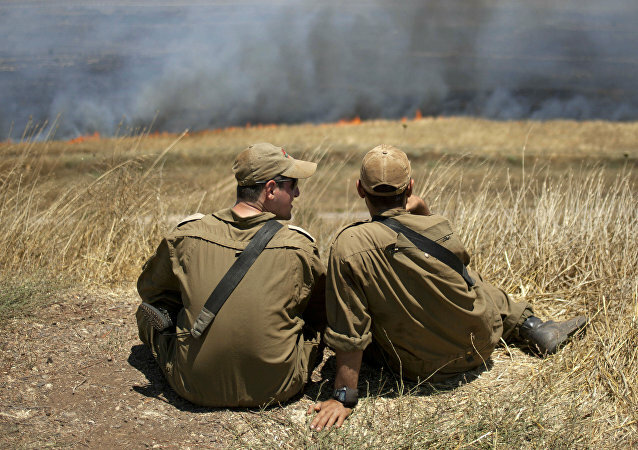 The United States' decision to recognize Israel’s sovereignty over the Golan Heights has reportedly increased tensions in the Middle East. US President Donald Trump's decision to recognise the Golan Heights, which Israel seized from Syria during the 1967 Six-Day War and formally annexed in 1981, as a part of Israeli territory has drawn much criticism from around the globe. On Monday, US President Donald Trump signed a presidential proclamation unilaterally recognising the contested Golan Heights as Israeli, sparking a wave of indignation in the international community. ANTALYA (Sputnik) - Russian Foreign Minister Sergei Lavrov on Friday blasted the recognition by US President Donald Trump of Israeli sovereignty over the Golan Heights. US President Donald Trump's decision to recognise the Golan Heights as part of Israel has not affected the United Nations' stance on the sovereignty of the disputed region. The international organisation still condemns the annexation of the territory that was seized by Israel during the Six-Day War in 1967. A US decision to formally back Israel and recognise its sovereignty over the Golan Heights that the Jewish state seized from Syria and claimed to be its territory decades ago, triggered a harsh response around the world. Sputnik discussed the situation in the region with a veteran war correspondent and Al-Rai Chief International Elijah J. Magnier. MOSCOW (Sputnik) - The League of Arab States' (LAS) ambassador to Russia, Jaber Habib Jaber, said in an interview with Sputnik that he believed the United States would no longer be able to act as a mediator in the Middle East and would lose Arabs' trust in light of its decision to recognise Israel's sovereignty over the disputed Golan Heights. PRAGUE (Sputnik) – The Czech Republic clings to the European Union’s position and the UNSC Resolution viewing the Golan Heights as the area occupied by Israel, Czech Foreign Minister Tomas Petricek said in the wake of the US decision to recognize the Golan as a part of the Israeli territory. The United Nations Security Council (UNSC) is expected to discuss the situation in Syria during a meeting in New York after US President Donald Trump formally recognised Israel's sovereignty over the Golan Heights earlier this week. 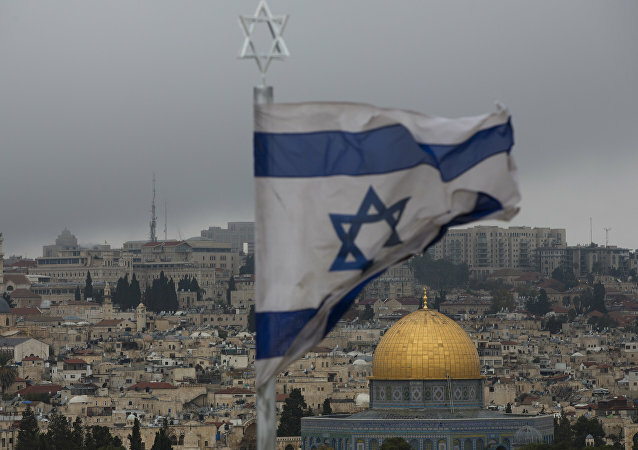 MOSCOW (Sputnik) - The European Union has not changed its position regarding the Golan Heights and does not recognize Israeli sovereignty over the occupied territory, Maja Kocijancic, the spokesperson for EU diplomatic service, said in a statement on Wednesday. 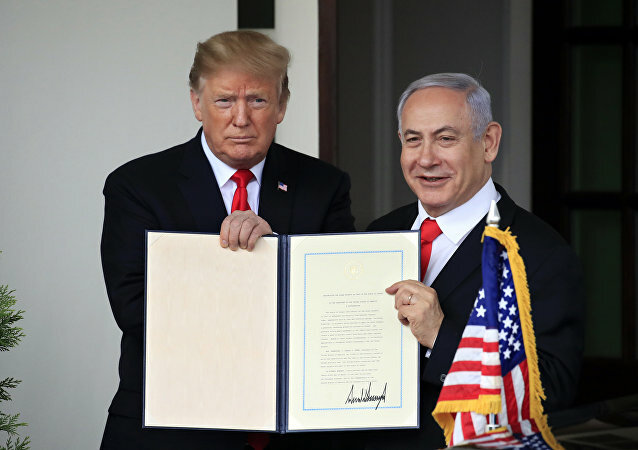 US President Donald Trump met Prime Minister Benjamin Netanyahu Monday to sign a presidential proclamation officially recognising the Golan Heights as Israeli territory, thus formalising a move announced with a tweet earlier on Thursday. Saudi Arabia has condemned the Trump administration's recognition of the occupied Golan Heights as Israeli territory, the Saudi Press Agency said Tuesday, cited by Reuters. WASHINGTON (Sputnik) - President Donald Trump may follow his move to recognize Israeli control over the Golan Heights by reversing US policy towards the West Bank as part of his scheme to get Prime Minister Benjamin Netanyahu re-elected, former CIA officer Philip Giraldi told Sputnik.